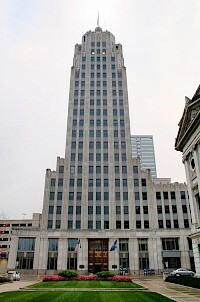 The Lincoln Tower in Fort Wayne, Indiana, United States, is an Art-Deco highrise building. Construction started in late 1929 with the building's opening in 1930. For decades, it was the tallest building in the state. The building was also known as "Lincoln Bank Tower" to distinguish it from the building at 215 Berry Street, which had been known as the "Lincoln Life Building" from 1912 until 1923. 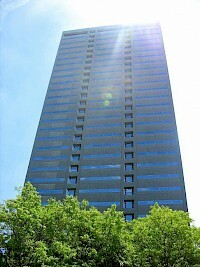 Today, that other building is commonly known by the original Elektron Building name.